Without the stress of making thousands of organic mince pies for the Riverford veg boxes, we’ve really been able to get ahead of the game this year with goodies for the shops and it’s beginning to look a lot like Christmas! Puddings, cakes, mince pies, mincemeat, port and cranberry chutney, nut roasts, roast nuts and cantuccini are all in the shops now so you can start feeling a little festive at home. Cooked, ready to glaze, hams, pigs in blankets, mixed packs of our cured meats and large chunks of Stilton and other cheeses will be on the shelves in a few days too. I’ve been pleased with everything so far but the Jewelled Christmas Cakes (with cherry and nut topping) really take the biscuit. The Chocolate & Orange Cantuccini aren’t bad either. Jarred mincemeat is a bit of a new thing for us. As I wrote last year I don’t have a problem with sustainable palm fat but once heated up (pasteurised) in the jar it looks terrible and a wonderful product becomes almost unsaleable. So we’ve substituted palm fat with sunflower oil and it looks good – like proper, homemade, mincemeat. All the ingredients are organic and Jill Archer would be proud of it. It comes in 800g jars and costs £7.99 – enough for about thirty mince pies. 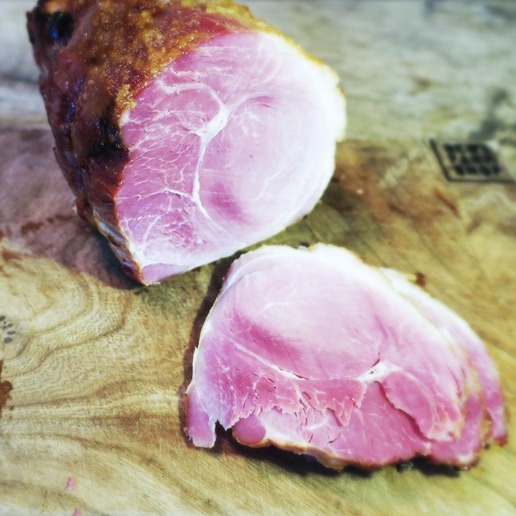 We’re also doing cooked, ready to glaze, ham joints so you can simply unwrap, coat with a glaze of your choice, quickly bake and enjoy hot, and then again cold. Hopefully, the perfect standby to get you and unexpected visitors through Christmas and the New Year. And don’t forget you can wash all this down with a fantastic range of wines, available in mixed cases designed to meet all your festive needs. This entry was posted in Bens Blog, New Products.